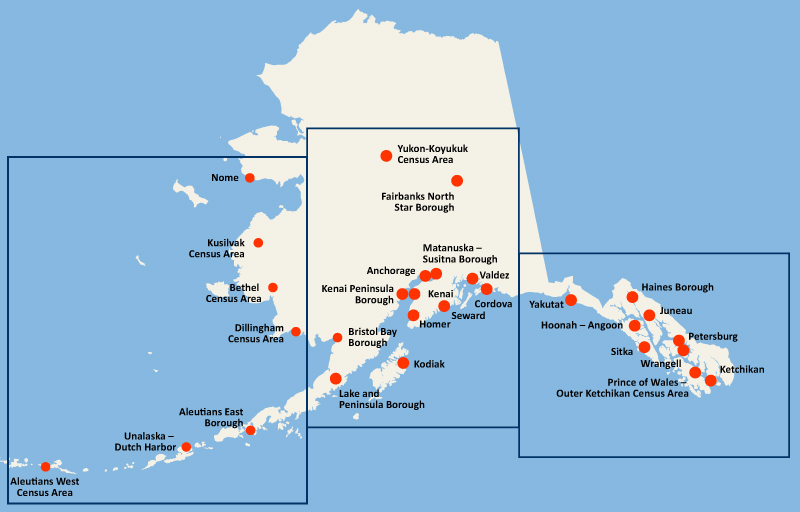 As Alaska’s largest private‐sector employer, commercial fishing is a major contributor to employment and wages. The fishing industry employs tens of thousands of individuals producing billions of pounds of seafood for the US and the world. Commercial fishing permitholders represent small and family‐owned business, supporting dozens of other services businesses such as hardware and marine suppliers, fuel, accountants, air and water travel, shipping, boatbuilders, restaurants, scientists, educators, and administrators. 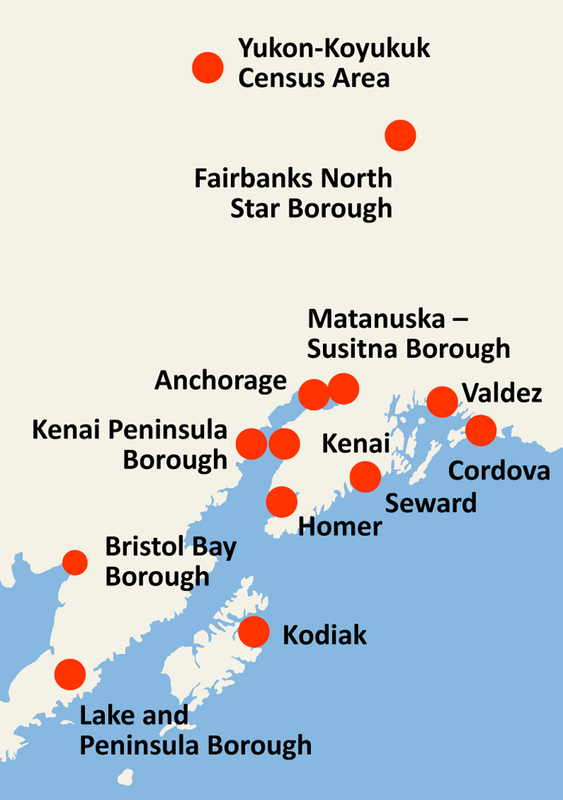 Virtually every business in Alaska benefits from commercial fishing dollars. 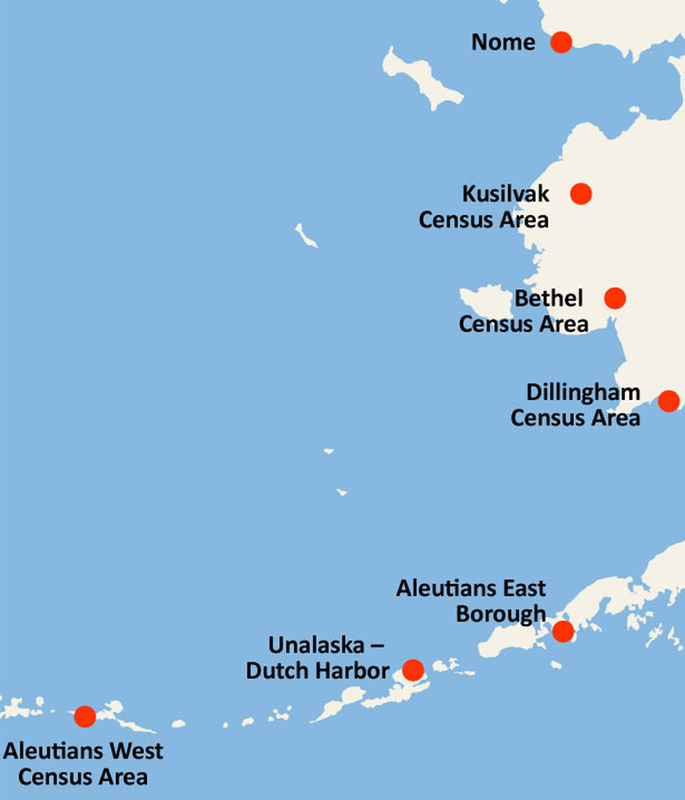 A compilation of information on employment, income, and municipal revenue of selected Alaska cities, boroughs and census areas from information from State of Alaska and federal government sources. 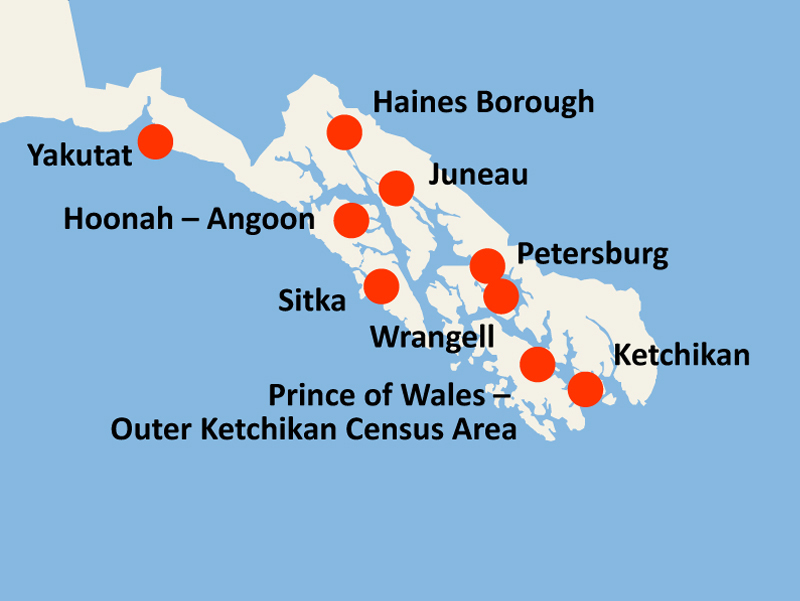 Select the map area for the individual cities or census areas.